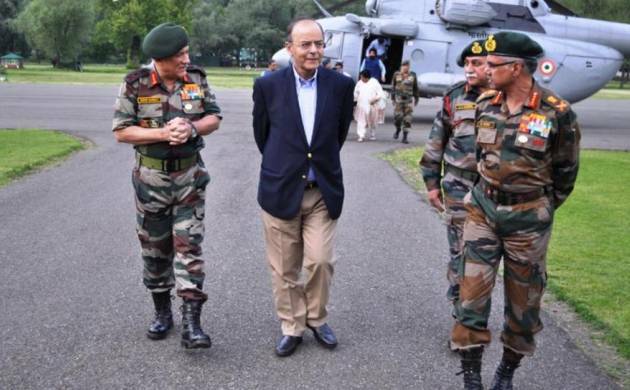 Jaitley said a lot of emphasis had been laid on modernising and enhancing the operational capability of the defence forces in the last three-and-half years. The government will develop two defence industrial production corridors and bring out an industry-friendly military production policy to promote the defence industry, Finance Minister Arun Jaitley said on Thursday. In his budget speech, he appreciated the role played by the armed forces in meeting challenges on the country’s borders as well as in managing the internal security environment, both in Jammu and Kashmir and the North East. “The government will take measures to develop two defence industrial production corridors in the country,” he said. Jaitley said the government would also bring out an industry-friendly “defence production policy 2018” to promote domestic production by the public sector, private sector and MSMEs. He said a number of initiatives had been taken to develop and nurture India’s intrinsic defence production capability to make the nation self-reliant on its defence needs. The minister said private investment in defence production had been opened up, including liberalising foreign direct investment.